An Android app created to help citizen journalists around the world easily create video stories and share them securely is gathering pace. Free app StoryMaker lets you shoot and edit video, and provides story templates which help those without experience create video packages. 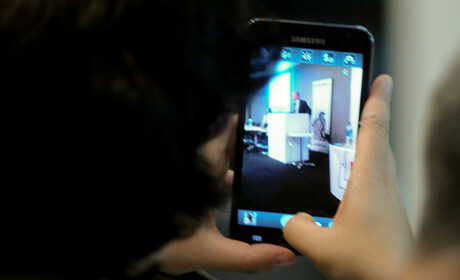 The app has been used to train citizen journalists in countries including Iraq, Egypt, Morocco, Tunisia and Zimbabwe. It was built for "censorship-resistant publishing", enabling those in challenging environments to share work securely, co-founder Brian Conley told Journalism.co.uk. Users can pick from one of a number of templates, such as for an interview, and they see the outline, or compositional overlay, of the shot they should capture. They can then edit together the component shots into a professional video package. The app has gathered pace in the past few weeks. After being launched in beta in April, it has experienced "rapid growth in past month", Conley said. It had between 500 and 1,000 users in June and at the beginning of August the user base had jumped to more than 5,000. By providing comprehensive lessons within the app – with the curriculum guided by the International Center for Journalists (ICFJ) – StoryMaker puts "training into hands of users rather than us having to figure out funding to fly to all of these dangerous places", Conley said. The app was created for open-source platform Android, it being the most popular smartphone operating system in many of the countries for which the app is designed to be used in. It offers a number of story templates, including interviews and action packages, each of which is made up of five clips as this is "the simplest way to tell a story", an explainer video says. The user can choose a basic or complex template for video, photos, audio or audio slideshows, which can be shot from within the app or imported. 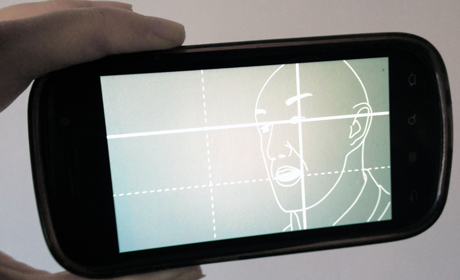 If shooting footage within the app, the user sees a compositional overlay of the type of shot they should capture. These guides act as recipes to help people without experience of different shot types create professional packages. Clips can be trimmed and there is a drag and drop option to change the order. There is also the option of adding a voiceover. The finished video is then rendered and can be published to YouTube and to the StoryMaker site. StoryMaker enables "censorship-resistant publishing", Conley said. Those working in parts of the world where journalists and citizens are in danger of being monitored can publish via Tor, which allows content to be uploaded anonymously. Conley explained that the idea of providing the building blocks for storytelling reduces the technical challenges so "anyone who has a great story isn't prevented from telling that story in a compelling fashion". "People watch films and see what the evening news packages look like," Conley said, "but they don't know how to make them a reality." He explained that the app can also help established journalists work in new formats. "We see it not only as a tool for citizen journalists, journalism students or amateurs, but for print journalists who want to start doing video, and for video journalists who want to do more radio. It is enabling journalists to move cross platform." The app grew out of an interesting partnership. Small World News, co-founded by Conley, has been training journalists in "conflict areas and emerging democracies" since 2005. After training in Egypt in 2011, Conley and a colleague started to talk to The Guardian Project, which focuses on creating privacy and security tools on Android and is run by people with an interest in citizen journalism. With funding from the Open Tech Fund, they created an initial prototype. Free Press Unlimited, a Dutch media development organisation, is also involved and together they formed 'The StoryMaker coalition", which includes developers contributed by Scal.io and the ICFJ guiding the curriculum. Developments in the pipeline will see users being given greater choice between the amount of guidance they get in terms of shots from within the app. This will mean experienced videographers can bypass the templates. And funding from the Information Security Coalition is allowing the team to increase the security features of the app. They are working on 'Obscuracam', a feature to enable the blurring of faces immediately after production, for example. 'Ciphercam', which is still in development, will enable users to produce content that is encrypted at the point of production. This will allow content to be stored securely to the cloud as it is produced, so if a user loses their phone or gets it taken they will have access to their raw footage. This will "provide increased protection to journalists and their sources", Conley said. French and Spanish versions of the app are due within the next couple of weeks. There are also plans to add platforms where stories can be published to, including SoundCloud, Flickr, Facebook and a user's private server, which will be particularly useful in countries where YouTube is blocked. Conley is going to Libya next week to work with a news agency there which will be "integrating StoryMaker into their entire multimedia workflow", he said. The StoryMaker coalition are now seeking funding to develop an iPhone version, which is expected to have "large growth potential".